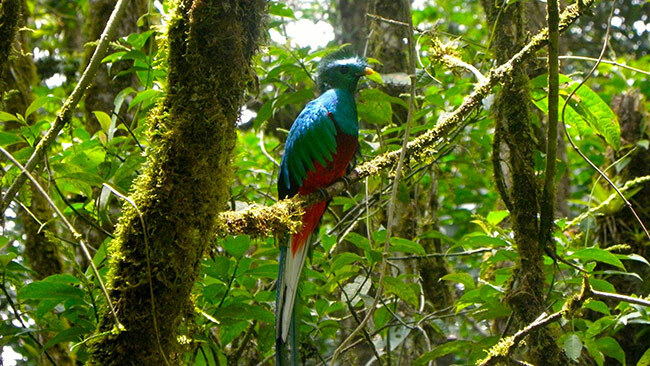 Spot an elusive Resplendent Quetzal in a thick cloud forest! 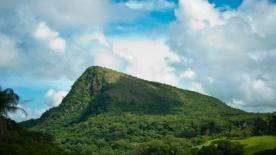 Monteverde offers great bird watching opportunities, in numerous private reserves. You can also enjoy a stunning variety of orchids growing in the wilderness. Thrill seekers will love zip lining! Did you know that Monteverde is where zip lining originally started being a tourist attraction? 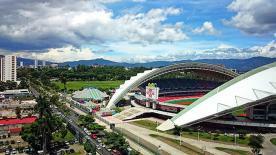 And nowadays, here is where you can try out the highest bungee jump in Central America. Closest Airports: Both international airports (Liberia and San José) are about 4 hours drive to Monteverde. Monteverde is a small town in Puntarenas, Costa Rica, located in the Cordillera de Tilarán. Roughly a four-hour drive from the Central Valley, Monteverde is one of the country’s major ecotourism destinations. The area is home to the Monteverde Cloud Forest Reserve and numerous other reserves, which draw considerable numbers of tourists and naturalists. What is now considered Monteverde was founded by Quakers from the United States whose pacifist values led them to defy the American draft during the Korean War. The majority of the group hailed from Fairhope, Alabama, and it included people who were not Quakers but pacifists and conscientious objectors. The spokesman of the group was Hubert Mendenhall, a dairyman who had visited Costa Rica in 1949 after joining a farmer’s tour. These Quakers and pacifists chose Monteverde for its cool climate, which would facilitate dairy farming, and due to Costa Rica’s non-violent, army-free constitution. Monteverde is known as the site with the largest number of orchids in the world, with 34 of its 500 species newly discovered. Over 60 species of amphibians, including the extinct Monteverde-endemic golden toad, have been found here. This area is also a stop for 91 species of migratory birds. The famed quetzal resides here seasonally. The mammals of Monteverde include representatives from both North and South America as endemic species. The mammalian fauna of the region includes six species of marsupials, at least 58 bats, three primates, one species of spiny mouse, at least 15 species of long-tailed rats and mice (family Muridae); one species of agouti, six species of felines, two species of wild pigs, and one tapir. When you visit Monteverde, you’ll probably stay in the bustling town of Santa Elena. There are many services you can find in Santa Elena: banks, supermarkets, public buses, restaurants, Internet, drugstores, and many more. In a perimeter of just 10 km around downtown Santa Elena, there are a wide range of hotels and attractions that will make your visit comfortable and enjoyable. The Monteverde Cloud Forest Biological Reserve is one of the most developed and well-maintained natural attractions in Costa Rica. The trails are clearly marked, regularly traveled, and generally gentle in terms of ascents and descents. Butterflies are abundant here, and the Butterfly Garden located near the Pensión Monteverde displays many of Costa Rica’s most beautiful species. Besides the hundreds of preserved and mounted butterflies, there is a garden and a greenhouse where you can watch live butterflies. If your taste runs toward the slithery, you can check out the informative displays at the Monteverde Serpentarium. The Frog Pond of Monteverde a couple of hundred meters north of the Monteverde Lodge, is also a good bet. A variety of amphibians populates a series of glass terrariums. If you’ve had your fill of birds, snakes, bugs, butterflies, and bats, you might want to stop at the Orchid Garden. This botanical garden boasts more than 450 species of orchids. The tour is fascinating, especially the fact that you need (and are given) a magnifying glass to see some of the flowers in bloom. 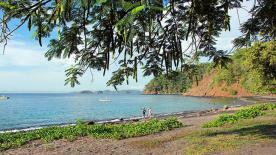 Because it is a secluded area, there are no convenient day trips available to or from Monteverde. Monteverde is one of the best places to see the resplendent quetzal, as it migrates to the lower portions of the park during mating season. The endangered three-wattled bellbird is another member of the 400 species of birds found here, including close to 30 species of hummingbirds. More than 100 species of mammals live here, including howler and capuchin monkeys, all five species of great cats, deer, tapir, and sloths. A total of 1,200 species of amphibians and reptiles live in this part of Costa Rica too, including venomous and non-venomous snakes, frogs, and toads. Just like the rest of Costa Rica, Monteverde has a dry season (December to May, when prices tend to be higher and crowds bigger) and a wet season (May to December). Here, though, the terms are relative. Because the park is in a cloud forest, the mountaintop reserves and the twin towns below them are often enveloped in a hybrid of wind, rain, and fog, which forms when warm air blows in from the ocean and rises up to the summits of the Tilaráns. As for the wet season? It’s sodden enough to make many of the hiking trails—not to mention the steep, winding access up from the Pan-American Highway—close to impassable. The months between August and November are particularly rainy, though you won’t have to wait in line for zip lines (or much else). The Monteverde area offers an eclectic mix of accommodation, from hostels, B&Bs, and wooden cabins to Costa Rica eco resorts. During Christmas and Easter, many hotels are booked up weeks in advance. January to April and also in July, reservations are a good idea, though you can almost always find somewhere to stay. Note that Monteverde can get quite cool at night, so don’t be surprised if your room doesn’t have a fan, but be sure to speak up if it doesn’t have a warm blanket. Public transportation: Yes, there are buses from San Jose, Puntarenas and Liberia coming in and out of Monteverde daily. Shopping: There are grocery stores, gift & souvenir shops. WiFi or Internet cafés: Yes, WiFi is available in most of the lodgings in Monteverde. Restaurants: Yes, there is a great number of restaurants in Monteverde and Santa Elena, offering a fine variety of international and local cuisine. Nearest medical facilities: There is a public health clinic in Santa Elena.